LMRT assisted with a med-evac for one of the areas off griders after setting off their PLB. The life of a man who lives “off grid” in a remote part of Lochaber was saved after his distress signal was picked up thousands of miles away in Houston, Texas. Ken Smith, known locally as The Hermit, became unwell while in his log cabin a two-hour walk from the nearest road. Mr Smith, who is in his seventies, normally activates his beacon in a “check-in” alert mode on a Sunday to let family and friends know he is OK. But this weekend, he triggered an SOS instead of the normal alert mode. 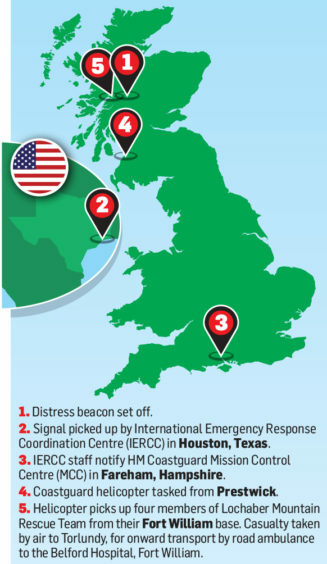 The SOS signal was picked up by a response centre at the International Emergency Response Coordination Centre (IERCC) in Houston USA, which in turn notified HM Coastguard Mission Control Centre (MCC) in Fareham, Hampshire on Sunday just before 6pm. 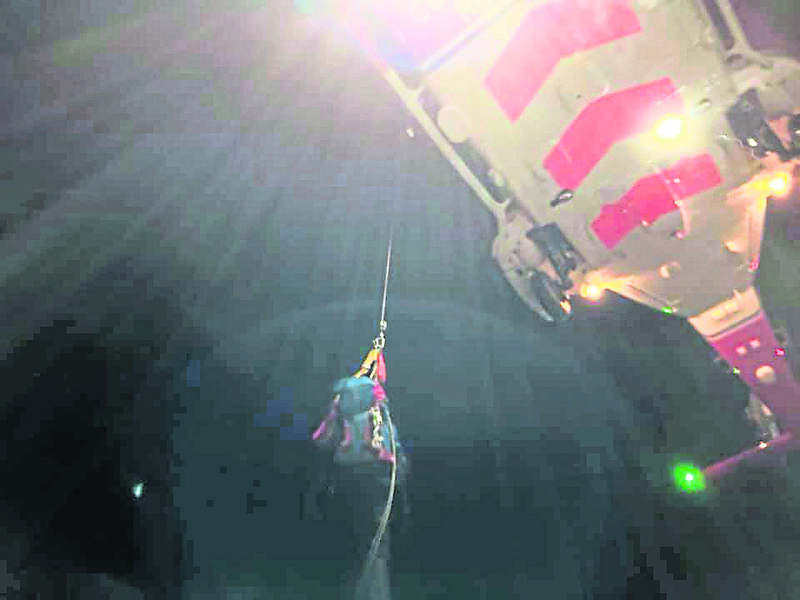 The coastguard sent the Prestwick Coastguard helicopter to his cabin to check if he was OK. The winchman who made his way to Mr Smith’s cabin they found that he was very ill and needed medical assistance. The helicopter was unable to winch close enough to the cabin, so Lochaber Mountain Rescue Team were called in to help move him. Once onboard the helicopter he was flown to Torlundy for onward transfer to the Belford Hospital in Fort William by road ambulance. Neil Blewett, UK Aeronautical Operations Centre Controller for HM Coastguard said: “This is an excellent result thanks to the vigilance of our MCC and ARCC not putting it down to an ordinary check alert. “When the man activated his beacon that signal went via satellite to Houston, which then gets sent to our MCC for attention. What must seem a very long way round for an alert to reach us is actually very quick thanks to the satellite technology that we use. 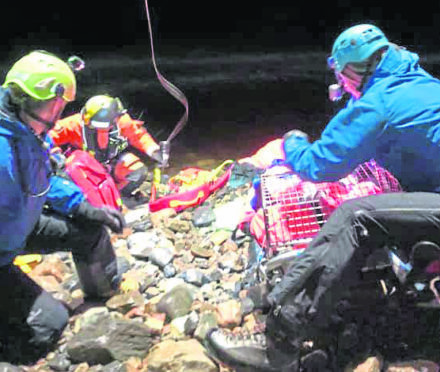 Donald Paterson, deputy leader of Lochaber Mountain Rescue Team, said: “It is quite normal for people who are ‘off gridders’ to have these personal locators.